During 2013 government shutdown, JPL’s work was not interrupted because Caltech had government funding to continue work for four to five weeks and the shutdown ended after 16 days, said Casey Dreier, Planetary Society senior space policy advisor. The current shutdown became the longest in U.S. history on Jan. 12, breaking the 21-day record set when the government closed from Dec. 16, 1995 to Jan. 6, 1996. “We can continue to do our jobs as long as they don’t require interaction with NASA civil servants,” said a NASA contractor. However, “any new task plan or new decision is stalled,” said a JPL employee. Eventually all the decisions awaiting approval from NASA headquarters will pile up, Dreier said. “They can only go so far without headquarters signing off on certain things,” he added. “The window for Mars 2020 is not going to wait,” said the JPL employee. 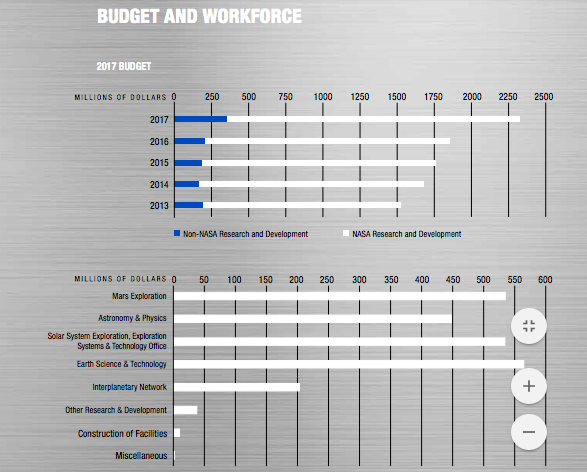 If Caltech lays off a significant number of JPL employees, it would have to inform California’s Employment Development Department. Under the Worker Adjustment and Retraining Notification Act, Caltech would have to file a notice 60 days prior to closing a facility or laying off 50 employees or more.